From the Lobby, you can use one of the portals to enter an area where you may change your Character description. 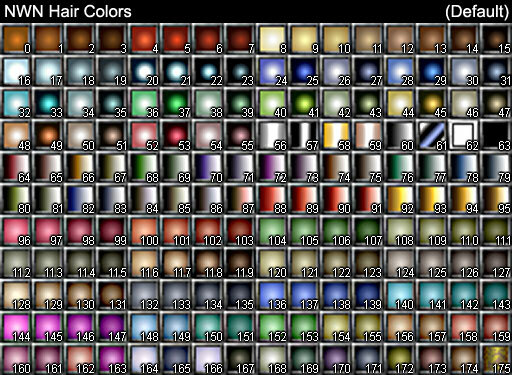 One of the haks we use allows you to custom-color your eyes and lips (it also automatically matches your eyebrows to your hair color). 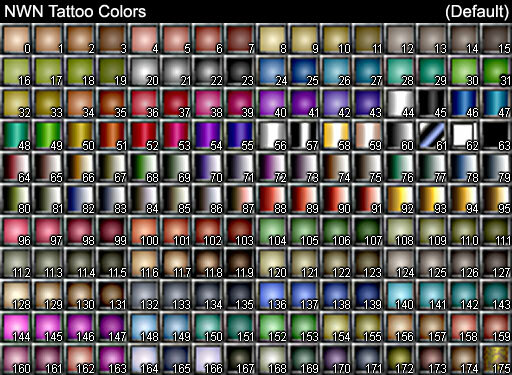 Eyes take on your color choice for tattoo 1. Lips take on your color choice for tattoo 2. From the Lobby, you can use one of the portals to enter an area where you may change your color choices for Tattoo 1, Tattoo 2, Hair, and Skin. 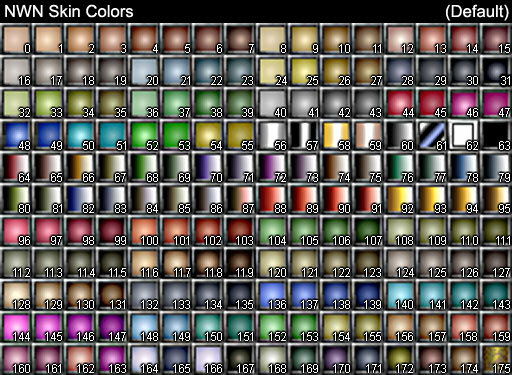 Use the charts below to find the color number for the item you wish to change; you will need to enter the number in local chat.